With the 2014 season upon us, it’s time to break out my crystal ball, polish it well and make my predictions for the three series champions. With the exception of last year, I’ve been making my predictions annually since 2010, which was also my most successful year (two of my three picks were correct – Jimmie Johnson for Sprint Cup champion and Brad Keselowski for Nationwide champion). But so much has changed since then. Not only has the model of racecar evolved, as the Sprint Cup drivers now run the Gen-6 car, but the Chase is undergoing a dramatic overhaul that will see a field of 16 drivers gradually eliminated to four, with the final race determining the champion. Not to mention all the driver and team changes! Without further delay, here are my picks for series champions as well as rookies of the year for the top three NASCAR series. 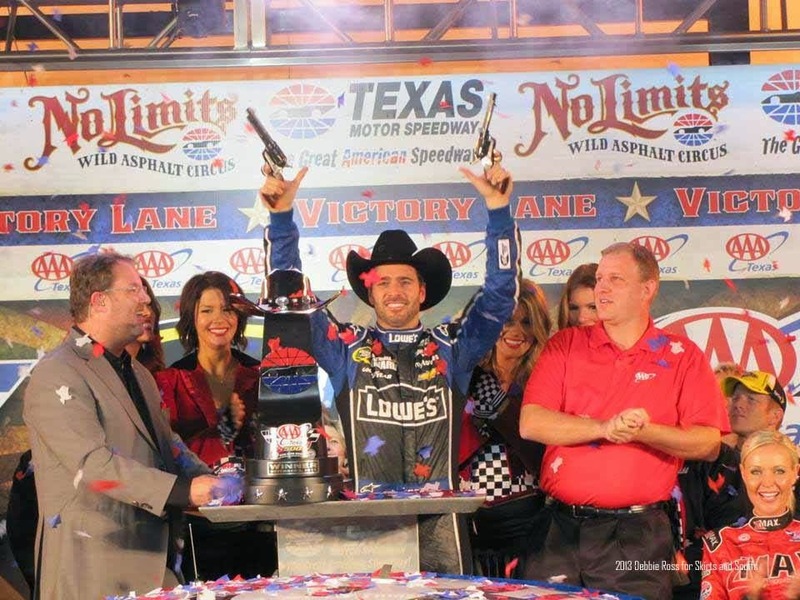 It’s hard to bet against Jimmie Johnson and the No. 48 Hendrick Motorsports team, which is why I’m not. Get ready for a history-making title number seven. I’ve said it before, and I’ll say it again: the defending champion and his crew chief Chad Knaus are the best in the garage at adapting to change. They’ve won their six Sprint Cup titles with different models of racecar (Gen-4, Car of Tomorrow and the Gen-6) and under the various tweaks to the Chase and the points system. Under the new Chase, wins will be rewarded, especially in the last 10 races. Not only does Johnson, 38, know how to win races, but he knows how to do it during the Chase, which tips the odds greatly in his favor. If Johnson wins the championship this year, he’ll make history, tying Richard Petty and Dale Earnhardt for the most Sprint Cup titles. Get ready for one heck of a celebration. Rookie of the Year: Austin Dillon. The 23-year-old claimed Rookie of the Year honors in the Camping World Truck Series and Nationwide Series; a year later in each series, he went on to win the championship. Dillon will make it three-for-three when he wins ROTY this year. At this pace, he’ll also be the 2015 Sprint Cup champion. 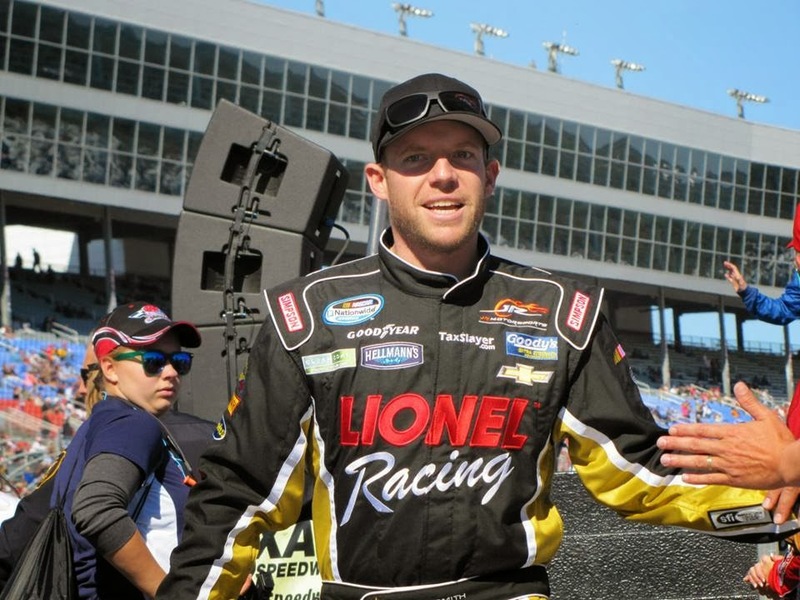 After returning full-time to the Nationwide Series last year, Regan Smith had an impressive season. The JR Motorsports driver won two races and led the point standings for 10 straight weeks before finishing third in points. Smith, 30, boasts three wins for the organization in 34 races. JRM, taking advantage of its technical alliance with Hendrick Motorsports, has improved and risen to the level of a championship-caliber team, something not seen since Brad Keselowski’s days with the organization. With eight top fives and 19 top 10s last year, Smith demonstrated he has the consistency and race wins needed to win the championship, as well as top-tier equipment. This will be the year he hoists the trophy at Homestead. Rookie of the Year: It’s a tough call between Ty Dillon and Chase Elliott, but I’m going with Elliott. The 18-year-old has already shown remarkable success in his career, including winning his sole Truck Series start last year. With Smith and Elliott as teammates, JRM can look forward to a bountiful 2014. Speaking of young talent, expect Ryan Blaney to bring home the Camping World Truck Series title in his second full season in the series. The 2013 Rookie of the Year has two wins in 31 series starts, including last year’s Pocono race. Blaney also won a Nationwide race last year, one of three starts he made in the series in 2013. All this before turning 20 years old! 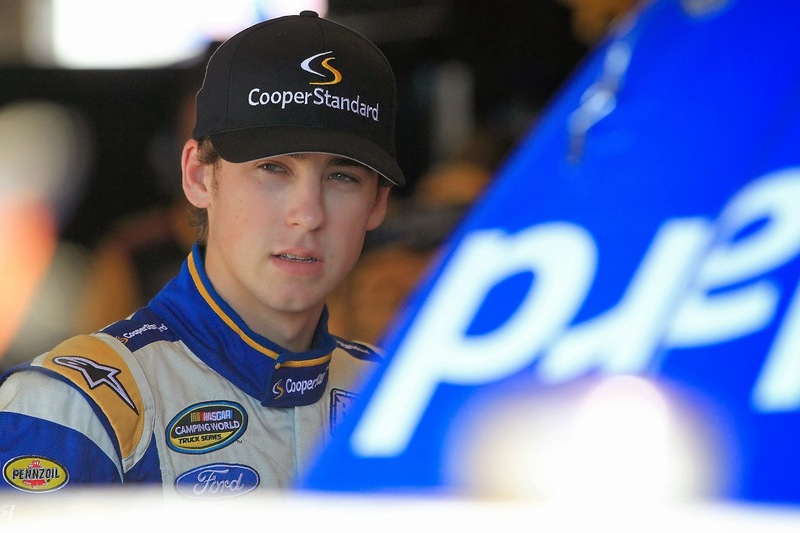 Last year, Blaney amassed eight top fives and 13 top 10s. It’s pretty clear that Blaney and his team Brad Keselowski Racing have found a winning formula. Their partnership will take Blaney all the way to the championship in 2014. Rookie of the Year: Ben Kennedy, who takes over the No. 31 truck from 2012 series champion James Buescher. In five truck starts last year, Kennedy, 22, had an average finish of 17.0, including a standout fourth-place finish at Martinsville. With good equipment from Turner Scott Motorsports, look for the great-grandson of Bill France Sr. to make a statement on the track.